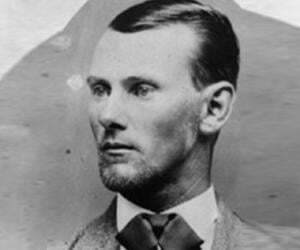 Jesse James was a legendary American outlaw, gang leader, murderer and bank robber. This biography provides detailed information on his childhood, life, activities and timeline. Jesse Woodson James was a famous, legendary bank robber, train robber and a gang leader from the 19th century America. He was born in Missouri in a prosperous family and had a happy childhood with his brother Frank until his father left them forever. His mother married twice after that, which resulted into an unstable family life for Jesse and his brother. By the age of 16, both the James brothers joined the Quantrill Raiders gang and started robbing banks and trains. Their initial aim was to attack the members of the Union troops and kill the supporters of Abraham Lincoln. After this, James’ criminal career started rising steeply and he changed gangs and robbed banks. The Daviess County robbery made him a national figure and detective agencies were hired to capture him and reward was put on his head. He was killed in 1882 by one of his own close gang members, Robert Ford and Robert was rewarded for his contribution to the police in Missouri. He is considered a legend in America and on several occasions is compared to ‘Robin Hood’ but it was never established if he ever shared his plundering with the local people. 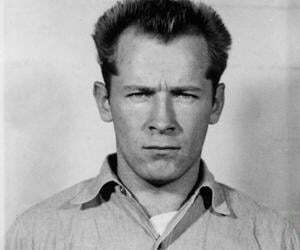 Many Hollywood movies have been made on his life and robberies. 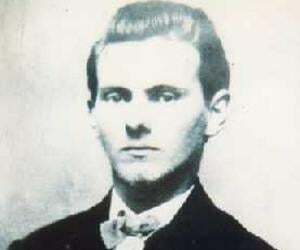 Jesse James was born on 5 September 1847 to Zerelda and Robert James in Clay County, Missouri. His father was a rich man, a hemp farmer and Baptist in Kentucky; he later migrated to Missouri after getting married to Zerelda. They had a big farmland and some six slaves and lived a prosperous life. James had two more siblings: Alexander Franklin and Susan James. When James was only a young boy, his father left the family and went in search of gold into the California gold fields. Zerelda remarried after Robert left but James’ new stepfather, Benjamin Simms, treated him and his brother very badly. It is suspected that because of an unstable childhood Jesse and his brother got into a life of crime. His mother married for the third time in 1855 to Dr. Reuben Samuel, who then moved into the James house. 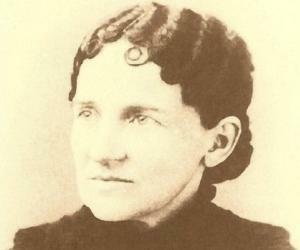 His mother and Samuel had four children together: Sarah, John, Fannie and Archie. They both had seven slaves in the household and helped them in their tobacco cultivation in Missouri. In 1862, William Quantrill formed a band of guerilla fighters. James joined the gang - other members were Frank James, Cole Young and James Younger. The gang did not only attack the Union troops but also raided mail coaches, assassinated the supporters of Abraham Lincoln and harassed the anti-confederate communities in Missouri and Kansas. In 1863, the Quantrill Raiders attacked the town of Lawrence, which is considered as the worst crimes of the Civil War. The gang killed at least 150 inhabitants of the town and set 180 buildings on fire. 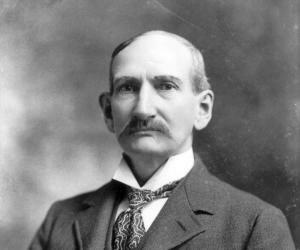 Within the next one year Frank James took Quantrill Raiders to Texas and he and James joined Taylor’s group when they reached Clay County. James was merely 16 years old then. In 1864, Taylor got badly hurt and lost his right arm where a shotgun shot him. Subsequently, Jesse and Frank James joined another group led by Bloody Bill Anderson called the bushwhacker group. James got shot in the chest in the same year on one of their endeavors with the group. In 1864, Frank was taken hold of, by the Clay County marshal, for killing more than 100 members of Major A.V.E. Johnson’s regiment. Frank told Jesse that he was the one who shot Major Johnson. They were ordered to leave Clay County. The James brothers separated, Frank went to Kentucky with the Quantrill and Jesse went to Texas with the gang led by Archie Clement. In 1866, James under the command of Archie Clement, robbed the Clay County Savings Association in Liberty, Missouri, in daylight and that too during the peacetime in America. During the armed robbery, an innocent student of William Jewell College got shot in the streets at the time when the gang was trying to escape. It is still not clearly known if James really did take part in the robbery. In the year 1866, the gang became the legend of robberies and was being called as the leaders of Clay County robbery. 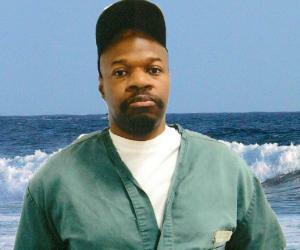 In the Jackson County, Missouri, two of Quantril’s gang members were jailed. They were demanded to be freed and in the interaction, the jailor got killed. It was believed that the James brothers were involved in this crime as well. In 1867, the group was involved in robbing a local bank with local capital in Richmond, Missouri. In this incident the mayor and two others were killed. In 1868, the James brothers joined Cole Younger, a fellow member from the Quantrill Raiders, to rob a bank in Russellville, Kentucky. It was in 1869 that James became well-known when he along with his brother Frank robbed the Daviess County Savings Association in Gallatin, Missouri. It fetched them only a little money but James shot the cashier who he mistook for Samuel P. Cox, the officer who killed Bloody Bill Anderson during the Civil war. James’ robbery act was documented in the newspaper and made him famous. The robbery of 1869 made James a famous criminal and he was titled as an outlaw and the then Governor of Missouri put a reward on his capture. This started the famous union of James and the editor of the Kansas City Time, John Newman Edwards. Edwards published letters from James for the public to let people know his motives. This helped in making James into a symbol of Confederate defiance of Reconstruction. In 1873, James brothers along with Cole Younger and his brothers John, Jim and Bob, carried out a train robbery for the first time. They disrupted the Rock Island train in Iowa and stole 3000 US dollars. Later they carried out more train robberies but they never robbed the passengers, which Edward used as a point to create James’ image as that of a ‘Robin Hood’ among people, but the group never shared the money. In 1874, Pinkerton National Detective Agency was given the task to capture the James-Younger gang. This was a Chicago based agency and it was its first big assignment. The leader of the agency, Allen Pinkerton, worked with former Unionists to find out the whereabouts of the group. In 1876, the gang robbed the First National Bank of Northfield, Minnesota. This robbery caused a manhunt and only James brothers were left alive and were on a run at the end of everything. It is also said that the gang burnt down 14 Rice County mills just shortly after the robbery. James brothers ran to Tennessee where Jesse went by the name Thomas Howard. James made another gang and in 1879, held up a train to rob in Missouri and after this the new group carried out two more train robberies. They also raided two stores in Mississippi. They stole 2000 US dollars and took shelter in Louisiana. But the new gang was not as strong as the old one and they constantly turned against each other and James started to grow more and more paranoid. After the breakdown of his group, James started to live in Missouri, near the house where he was born and brought up. To feel more protected, James asked the ‘Ford brothers’ to move in with him. But one of the Ford brothers, Robert Ford negotiated with the governor of Missouri to get James to him. In 1882, Robert shot James in the back of his head. James married his cousin Zee on 24 April 1874. They both had two children, Jesse Edward James and Mary Susan James. They had twins born in 1878 but they died in their infancy only. 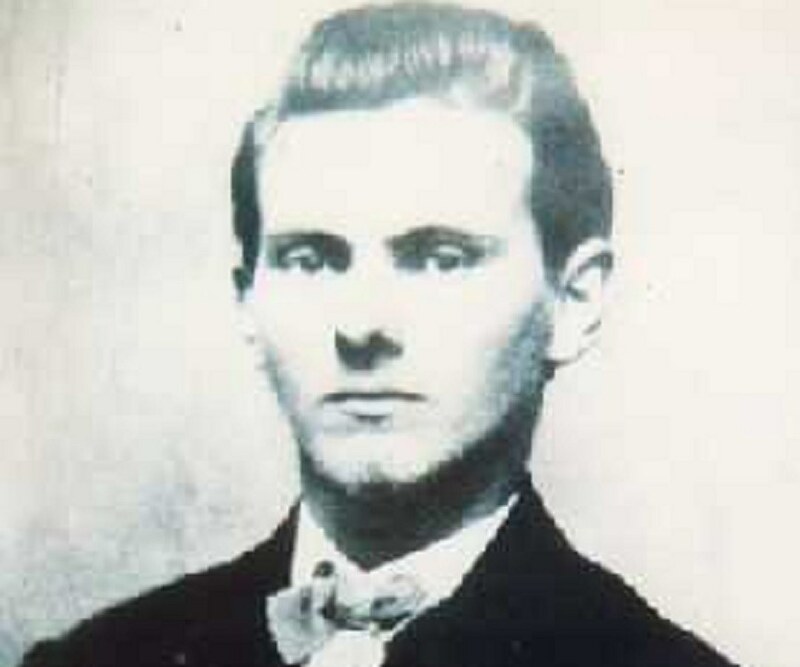 Jesse Edward James grew up to become a lawyer and practiced in Missouri and California. In 1882, James got prepared to go for a robbery with the Ford brothers. They went out to get their horses ready. Since it was a hot day, James removed his coat and firearms and stood on a chair to clean a dusty picture. At this moment Robert Ford shot him in the back of his head. When James died, his wounds from the previous chest shots and a missing middle finger helped the police to identify his body. Being involved in the killing of Jesse James, Ford brothers, Robert and Charles, were arrested when they called the governor to claim their reward. They were initially charged with murder and sentenced to death but were immediately pardoned by the governor himself. James’ wife Zee lived in poverty and died alone. It was rumored after his death that James was not killed; Bob Ford killed someone else for James to escape and live more protected. In 1950s James was portrayed as a psychologically disturbed individual rather than a ‘Robin Hood’, as portrayed by the media earlier on. There are many museums dedicated to James and his life, like: Jesse James Home Museum where he was killed, The Jesse James Bank Museum in Missouri where James conducted his first daylight armed robbery, etc. The Defeat of Jesse James Days is celebrated in Minnesota every September. People re-enact the robbery and spend the five day event by playing music and holding parades. There have been many movies dedicated to the life of Jesse James like: ‘The great Northfield Minnesota Raid’ in 1972, ‘ The Last Days of Frank and Jesse James’ in 1986, ‘Frank and Jesse’ in 1994, ‘American Outlaws’ in 2001, ‘The Assassination of Jesse James by the Coward Robert Ford’ in 2007, etc.